Logray was a male Ewok from the forest moon of Endor who served as the chief shaman of Bright Tree tribe during the Galactic Civil War. 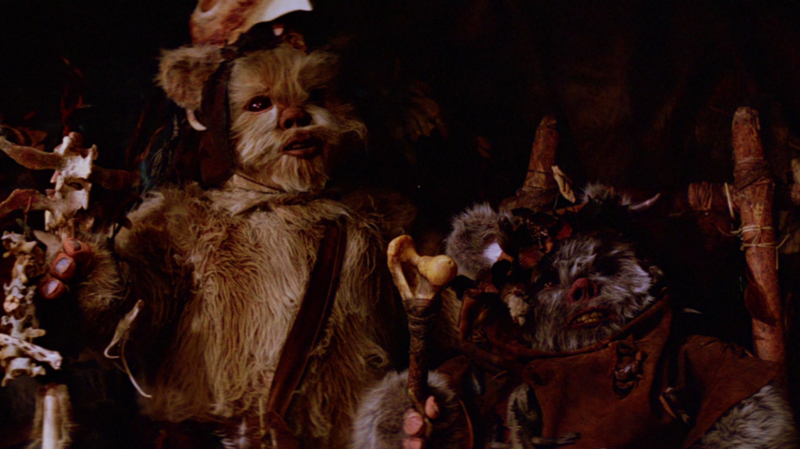 At one point during the war, Luke Skywalker, Han Solo, Chewbacca and C-3PO were brought to the tribe. Logray, believing Threepio a god ordered Skywalker, Solo, and Chewbacca to be cooked as a sacrifice to their “god”. The three were freed after Skywalker used the Force to trick the Ewoks into believing that Threepio was using his “magic” in a display of powerful anger. When the Ewoks were debating on helping the Rebels in assaulting the shield generator, Logray was hesitant to get involved, concerned for the safety of the Ewoks and feeling that this conflict was bigger than them. Eventually he was swayed over by the others and was greatly moved by Teebo’s messages sent out to the neighboring tribes. Eventually, he and the other Ewoks attacked the Imperial forces stationed on the moon during the battle of Endor. He participated in the celebration that followed the destruction of the second Death Star. 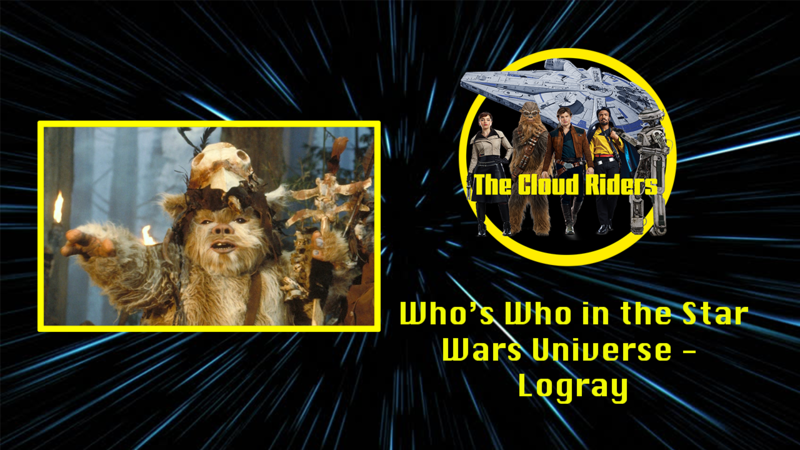 Logray was portrayed Mike Edmonds in The Return of the Jedi and by Bobby Bell in the Caravan of Courage. In Star Wars: Ewoks, Logray was voiced by Doug Chamberlain. Logray’s appearance changes quite radically between Return of the Jedi, Caravan of Courage, and the Ewokscartoon, with the primary unifying factor between them all being the churi bird skull on his headdress.